It is Summer Time, and it is that time of year when everyone travels. Many individuals with autism and their families do not travel because of the change in routine and surrounding can cause anxiety. We are always down for a road trip and my adult son Devon has autism, and we don’t let that stop us one bit! We want to help our readers to learn how to prepare for travel stress-free and have a good time! First and foremost it is all about the PLANNING! Yes, this is going to take some time and effort, but in the long run, it’s going to be so beneficial. Family trips are memories, and that is what you want. Parents of autism kids are always down for the challenge, that is just part of our life. Being outside of my son’s familiar surrounding can be overwhelming, but we know how to calm the anxiety before it even starts. So we begin talking about the trip in advance, at least two weeks before and yes we will go over the plan at least 100 times (maybe even more), and that is okay, it will help ease fears. We go on more road trips than anything because is Devon is not feeling it then we can turn around and head back home. 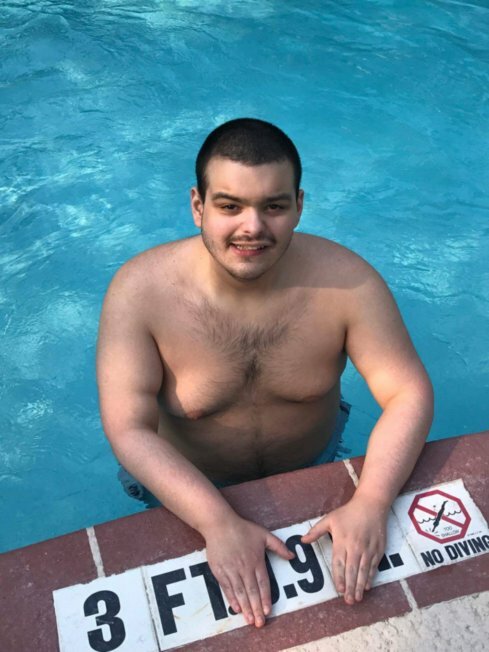 Devon enjoys the water, so we plan a trip to the beach or hotel with a pool. When planning a trip, you need to take in your child’s interest, attention span, sensory capabilities, and their anxious tolerance. I know that sounds like a lot but think about activities they love and plan around that, yes challenging but so worth it! I always make sure to include Devon in the planning because if I don’t then he is wondering what is happening and that is not okay. That will raise his anxiety too high. I will give him options on where to go, and if he doesn’t sound excited, then I move on to the next suggestion. We will look at pictures on the computer so he can see the location. After picking out where we are going, I will print out a picture of the place and the activities we will be doing. I will take the pictures and make a detailed itinerary for Devon. I will have a colored folder in the car with all the trip information so when Devon needs to look at it, then it right there for him. Then the next most important part of the journey is the packing. I need to make sure I have everything that will be needed and wanted. Devon will need his favorite toy (dinosaur), pillow, blanket and other items that are familiar to him. 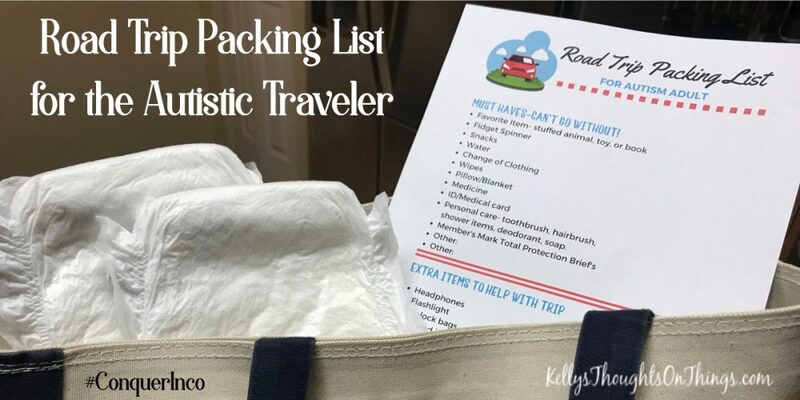 I have a printable packing list that I created to help me pack. You are more than welcome to print it out for your next trip too! There are a couple more items on the list that is a necessity, like his Member’s Mark Total Protection adjustable briefs from Sam’s Club. Being on the road, we can’t always stop for a bathroom break, and so these are a MUST HAVE just in case of an emergency. With the maximum absorbency and the adjustable side panels for a secure fit, Devon is comfortable. I honestly believe that Member’s Mark Total Protection products are every bit as good or better than the more expensive highly advertised brands. 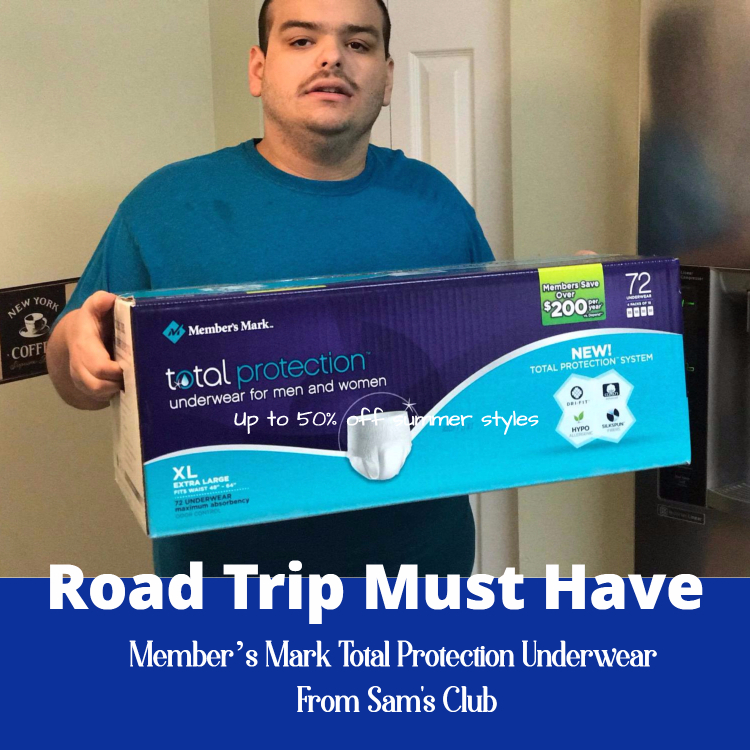 Plus being a member of Sam’s Club, I stock up on all road trip necessities- like snacks, drinks, and other products like Member’s Mark Total Protection. We want our road trips to go smoothly, so we make sure to include incontinence products to Conquer Inco. The only way to go! Also, remember you can also pick up subscriptions as well as additional health and wellness services. 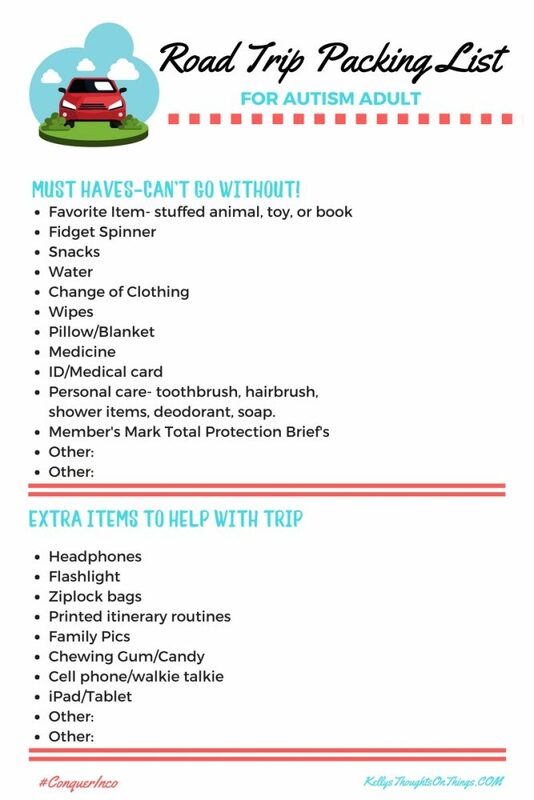 Making sure we have everything in Devon’s road trip bag is important and being a Sam’s Club member makes this happen a lot easier. Now that the bag is all packed we are ready to GO! Please KTOT readers when you go to Samsclub.com, leave a review online after you try the Member’s Mark Total Protection products! This is so helpful! What a great way to ensure the trip goes smoothly and everyone is happy and prepared. I haven’t worked with children with Autism very much, but this sounds like it would definitely make the trip a success. Thank you for the printable. We have an upcoming road trip with the grandchildren two weeks from now. This is going to help a lot. I am glad you got everything that your son might need for a road trip. Good job! This is such a nice list for people who often go on road trips, like me and my husband! It’s good to have entertainment on your way to your next destination especially if it’s a long drive! Such a helpful list! I can only imagine how much this is needed for an autistic traveler as traveling can be overwhelming and a whole process for anyone. I know I’m nothing without a good list.